The Guernsey Literary and Potato Peel Pie Society by Mary Ann Shaffer and Annie Barrows, was published in 2009. It brought the delightfulness of the small island of Guernsey into the hearts of an international audience, quickly becoming a New York Times bestseller. The novel has now been adapted into a film due to be released on 20th April 2018. The story begins in the aftermath of World War II following the liberation of the Channel Islands from the occupying German forces. It unfolds through correspondence between Juliet Ashton (played by Lily James), an author based in London and an assortment of folk living in Guernsey, including Dawsey Adams a strong but silent farmer. Through a series of letters, the islanders share their grim experiences of living under the rule of the Nazi-occupiers and tell how when caught breaking curfew, they quickly invented a book club - the Guernsey Literary and Potato Peel Pie Society. Slowly, the society and the reading of books become a refuge for an expanding group of friends - a way to temporarily forget the capricious command of the Germans, the pain of starvation and the heavy foreboding for those sent to the Nazi camps in Europe. Through recounting their experiences to Juliet, she finds herself drawn both emotionally and physically to this small island that perches between the south coast of England and northwest France, where she finds friendship and love. There is much of Guernsey as described in the book that stands today. The stunning south coast cliffs overlook sparkling bright blue seas and from which views of France can be seen on a clear day. Castle Cornet (or ‘Hafenschloss’ as it was known during the war) stands proud over St Peter Port, with it’s quaint cobbled streets and harbour. Readers who have been enchanted by the book and are now waiting in anticipation for the silver-screen adaptation can unleash their inner Juliet during the Guernsey Heritage Festival – which coincides with the release of the ‘Guernsey Movie’. Taking place over April and May 2018, many themed events, tours and exhibitions will take place - click here for suggestions. 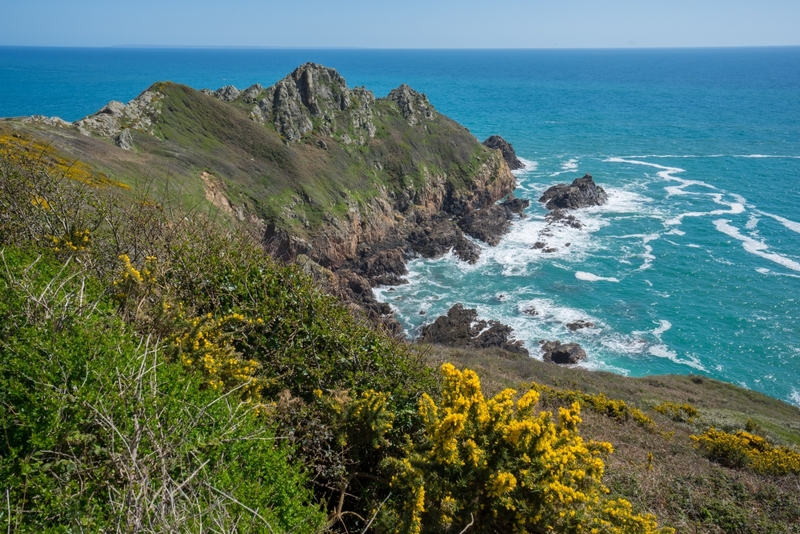 The beautiful parish of St Martins is the scene of much of the Guernsey story, making The Ellingham Cottages the perfect base to explore the scenery in the novel!